ONE GOAL. MANY FOES. Play through the story-driven campaign, skirmish against the AI, and jump online in casual and ranked PvP multiplayer. CHALLENGE YOUR FRIENDS. Invite friends to play asynchronously or increase the pressure in a Live Match. Set up custom “House Rules” and tailor the game to your tastes! TAKE OVER THE CITY. PROTECT WHAT’S YOURS. Infiltrate businesses, sneak into estates, set traps, and steal everything. The city’s riches are yours – if your opponent doesn’t take them first. SNEAKERY, STABBERY & SKULDUGGERY! Upgrade your guild, recruit street urchins, hire thugs, start a gang… and bribe, blackmail and assassinate the opposition. There are many paths to the top. MANAGE A HEALTHY ECONOMY. 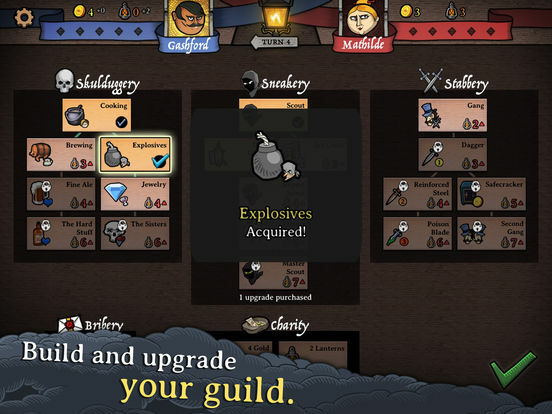 Spend your ill-gotten riches to hire new recruits, upgrade your thieving skills, and acquire deadly weapons. Gold is a thief’s best friend! 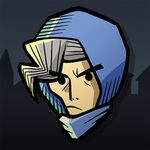 Antihero has a unique visual style that I'm loving from the get-go. The game is rendered in 2D but because of the angled, top-down perspective of the board, it feels like pseudo-3D. However, all of the character sprites are flat, so it's a nice contrast with the board itself. Each unit type has a unique appearance that makes it easy to differentiate from each other, and the Victorian-era towns have a cozy look and feel to them. 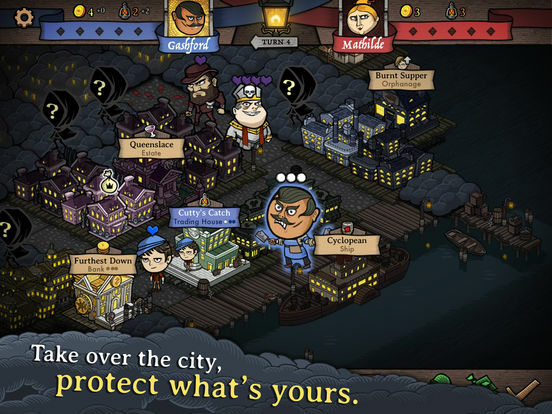 If you've been looking for a fun but challenging digital board game with a lot of depth and a great visual style, Antihero is the game for you. There's plenty of content to play through and clever strategies to figure out, and all of that is dressed in a lovely art style. Now go take out all those street urchins and take over the town; just know that you're in for a challenge and will have to plan carefully and execute at just the right time. If you have the patience for Antihero, it can be a really rewarding experience. It’s a digital board game that provides a bunch of depth, and it also happens to look and feel pretty polished. The only real problem though is that game times can get really long, even when the results feel all but decided. This can make the game feel ill-suited for mobile, even though it is otherwise looks and feels immaculately made for it. 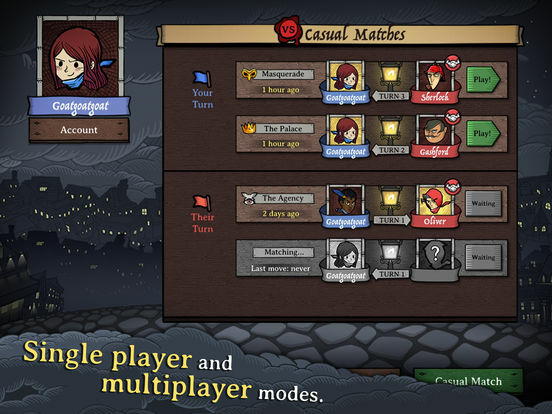 There are multiplayer modes too, and skirmishes that let you play quick games outside of the single player story. Everything is presented brilliantly, and there's a real warmth to all the robbing and murdering. 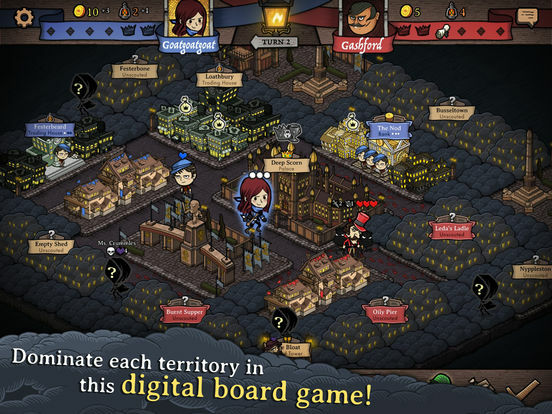 Antihero gets mobile board gaming in 2018 off to a really impressive start. It's fun, it's fast, and you're going to lose a good deal of time in its skullduggery and underhand activities. Similarly, those who prefer more open or perfect information multiplayer games may be equally annoyed by the game's vision system or variable setup, but those mild elements are the only caveats. 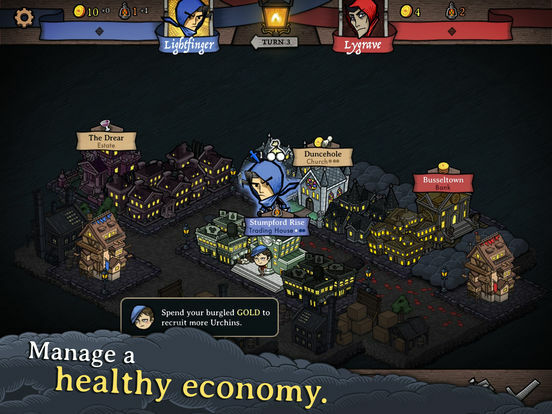 Antihero went through a multiyear development cycle to see its initial PC release last year, and its simple yet winning gameplay formula has yet to wear itself out. Hopefully an influx of new players and new faces will lead to a wider appreciation of its rascally charms.